Every time winter approaches or there's talk about a hotter than usual summer, you can see an increasing interest in attic insulation. People start looking into it, trying to figure out what it means, how it's done, who can help them do it, and what does the process entail. In order to shed some light on the subject, here's some important info you should take into consideration when you're trying to figure out whether or not to tend to your attic's insulation and what's the best way to go about it. It's also important to know that when your existing layer isn’t efficient you must hire attic insulation removal solutions before doing anything else. What is Insulation? Why Do I Need to Waste Time and Money? Let's start with the basics. Insulation is a physical means that has two main purposes – preventing heat transfer and preventing unwanted things from entering into the structure. This may sound uninteresting and not too much of a concern to property owners, but it's actually quite important. When your building is properly insulated, humidity stays out and water damages are prevented thus saving a lot of unpleasant side effects such as bad smells, mold, and sometimes even compromised structural integrity; rodents can't find a way in and can't litter the place or bring disease with them; and heat can't get in or out, making it a lot easier to maintain temperature throughout the building. When you need your building treated, your best course of action would be hiring trained and certified professionals for the job. Our experts will first determine the existing condition and will usually proceed to deliver attic insulation removal services. Once they've cleared everything out of the way, making sure nothing remains to interrupt the new layer, they will install your new insulation. Like most things in life, you can complete the process on your own, depending on how much free time and money you have to spend on it. However, by contacting professionals for the job, you ensure that the old insulation layer and materials have been thoroughly removed so your new one can provide excellent, long term results. If you suspect you need new insulation in your attic and have to have the old one removed, don't hesitate and give us a call! Our professionals at Attic Cleaning Glendale will immediately come to the rescue! 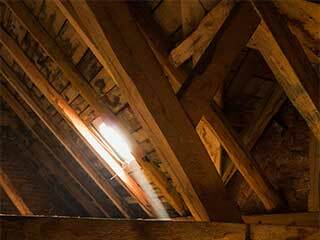 We also perform expert attic and crawl space cleaning and decontamination.